According to a recent study, almost 90% of content used to promote brands are visual. Our brain processes images 60 times faster than words and since visual content drives more engagement than other forms of content, it makes Instagram more popular than other social media platforms. 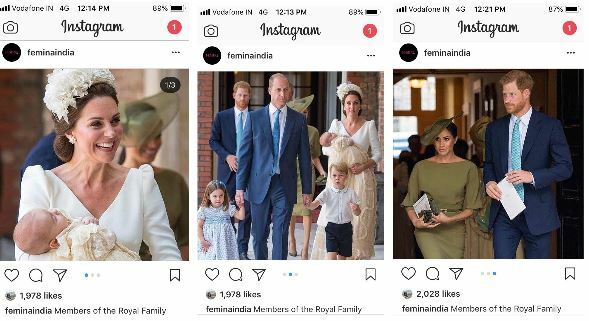 Visual storytelling has become even easier with Instagram due to the option of “multiple-image post”, also known as Instagram carousel. Brands use this feature to drive engagement, refine storytelling, enhance the beauty of news feed and also optimize placement of ads. Create quality content based on a course of events with each image showing detailed steps in a long process. For example, a brand that prides itself on its unique manufacturing can showcase the entire process using the carousel format. Food businesses can showcase easy recipes and skincare brands can show what ingredients go into their product etc. 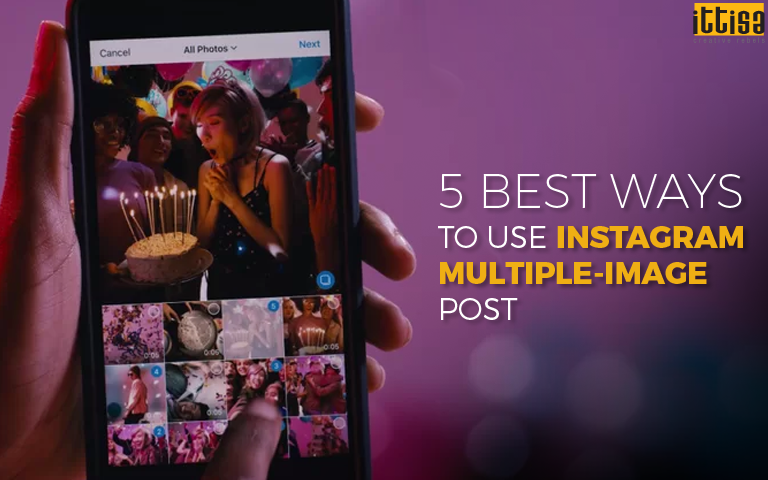 Instagram carousel makes for a great event showcase because you can upload up to 10 images at once. It helps to commemorate special moments and bring together otherwise dispersed photos and information. 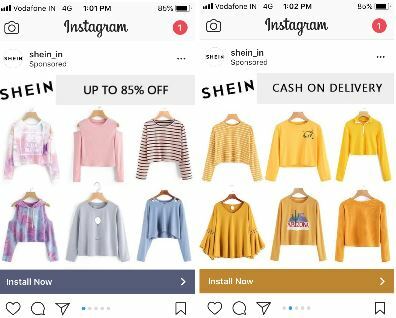 68% of Instagram’s audience follows a brand’s profile and that makes it a great platform for brands to showcase their products. The carousel creates a scrollable catalog in a single post. Themed arrangements can be followed to display products. At present, only one caption per post can be added, even in a multiple-image post. However, you can add text to each image to highlight the same or even different offers. This way, brands can showcase a line of products and all their advantages. The Shop Now, Learn More or Install Now CTA button at the bottom also helps to drive interactions. The amount of time users spend watching videos has increased by 80% in 2017. This shows that audiences engage more in audio-visual content than in static photos.Through Instagram carousel a brand may post upto 10 interesting videos on a single post making a total of 10 minutes of video content. 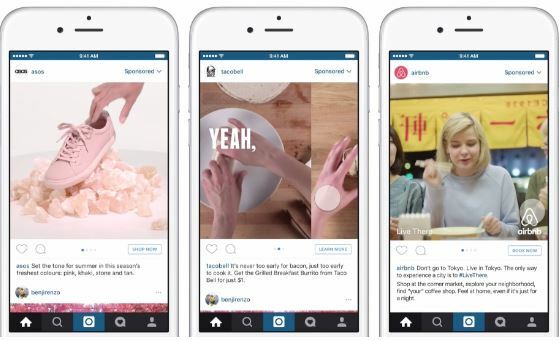 Instagram is a versatile tool for brands to market themselves. Here, images bring ROI for a brand. Carousels can be used to add depth to the Instagram news feed, increase engagement, drive sales and make it easier to share content without overwhelming the audiences’ news feed! 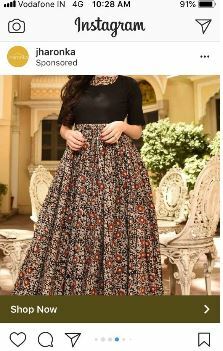 To know more about how you can use Instagram carousel for your business, leave us a message and we will get back to you.